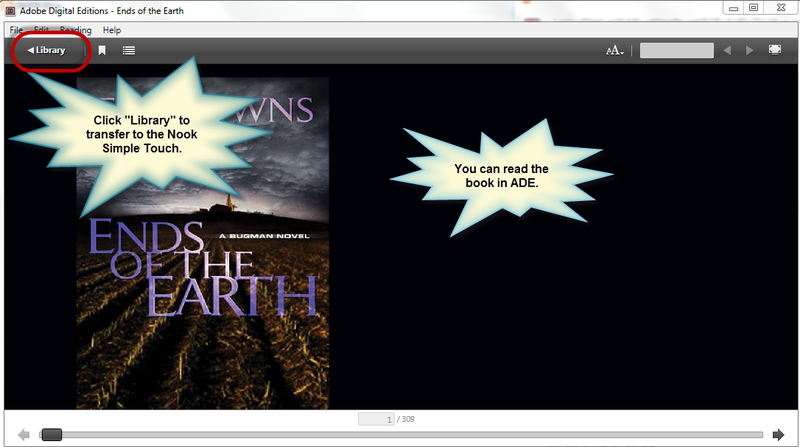 Not all users will need to install Adobe Digital Editions on their Windows or Mac computer and download the eBook to the computer before transferring the title to their device. Any user with an OverDrive Media Console app can skip these instructions and use the instructions for the app. Note: Nook HD and Nook HD+ users must use the OverDrive Media Console app found in the device’s app store. Once you've checked out the eBook, you'll be prompted to visit your bookshelf to select a format. People needing to use Adobe Digital Editions will use either Adobe EPUB or Open EPUB eBooks. At this time, these formats are found under the "Other formats" drop-down. 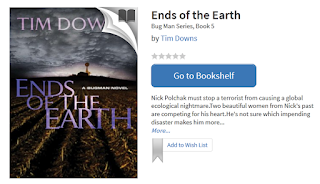 If you find that the title isn't available in the correct format, you can immediately return the title from your bookshelf before selecting a format. The Firefox browser was used to take these screenshots. Here's what Firefox users will see. Be sure to "Open with Adobe Digital Editions [2.0]" -- never save these files regardless of the browser. IE users will "open" the file and (provided you've installed the software) ADE will open immediately. Chrome users should look to the lower-left corner of the screen and double-click the file to open with ADE. 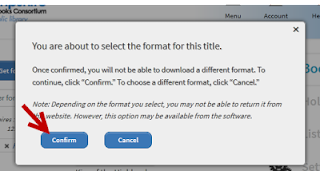 Adobe Digital Editions will open automatically and start downloading the file. 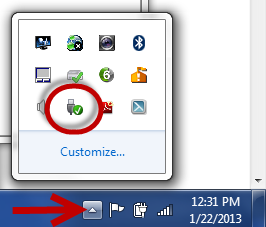 Provided you are using high-speed internet, the file should download within 10-15 seconds. Satellite users can expect about a minute to download. The software will show the open book, ready to be read. 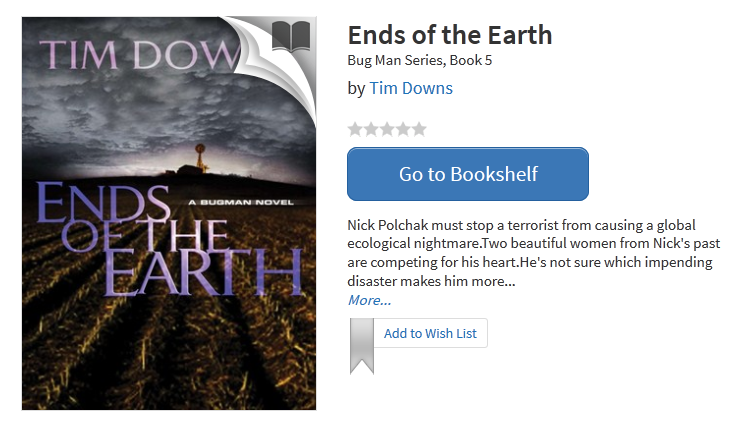 To transfer the title to your Nook, click the "Library" button in the upper-left corner. Plug in your Nook at this time. Notice the "Nook" on the left sidebar. Click, hold, drag, and drop the book cover to the Nook. You'll see a small red icon turn to green when the book is ready to be dropped. 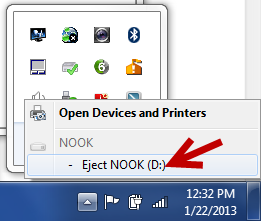 Be sure to safely eject your Nook before disconnecting the cable from the computer. Return the Adobe EPUB eBook back into the collection early. Note: The Open EPUB eBooks cannot be returned early.